Are you a resident of Indian Wells, California suffering from flood and water damage? Don’t stress out, pick up the phone, and call the professional cleaning and restoration experts at Superior Cleaning and Restoration Inc. We have you covered for all of your water damage cleanup needs. Indian Wells may be known for the Indian Wells Masters Tournament, but residents rely on day to day business to survive. This means that every day of business matters, and even losing one day to water and flood damage is problematic. This is why the professionals at Superior Cleaning and Restoration Inc. are available 24/7 for your water damage emergencies. Our experience allows us to provide a superior service. We will work with you from the start of the project, all the way to the final walk through. You can rest easy knowing that your property will be restored by our experts. Can you help with extreme flooding and water damage? Yes. 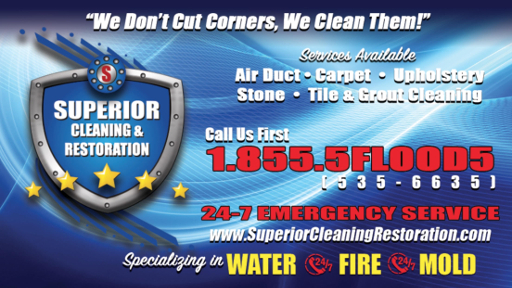 Superior Cleaning and Restoration Inc. is an all in one shop when it comes to cleaning and restoration. We can handle reconstruction, remodeling, and general restoration of your residential or commercial property. Our teams are trained to handle the worst flooding and water damage disasters. Are there special techniques to water damage cleanup? There are multiple professional methods to properly treat severe flooding and water damage. Our cleaning and restoration specialists are trained to understand all the necessary steps to properly restore your property to a superior state. Tennis and Golf are major reasons people come to Indian Wells, but for the residents, the consistent climate and relatively small city size is why we live here. This combination will lull property owners into a false sense of security, and then bam! Flooding and water damage happen. Don’t try and clean up the mess by yourself, call the professionals at Superior Cleaning and Restoration Inc. We will take care of every aspect of the restoration and put your worries to rest.